Those who love the letter tiles of Scrabble will no doubt love these tiled keepsake gems. Spell out your child’s name and show off your unique frame to the world! It’s never been easier to spell your sentiments in style. 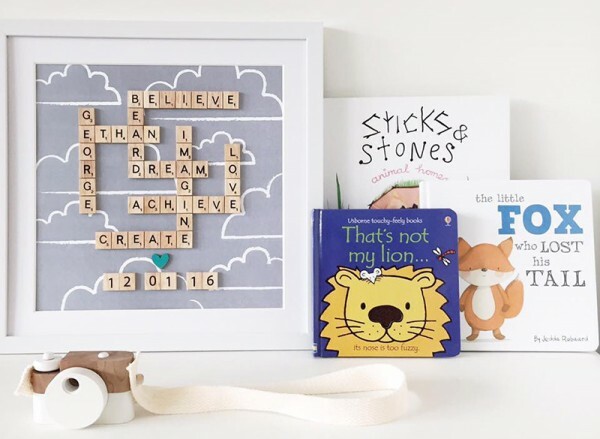 Personalised and made just for you, Love J Frame lets you create your Tiled Frame just the way you like it. 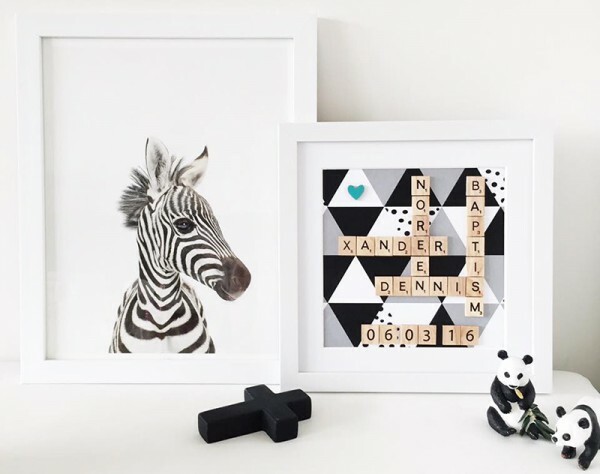 Choose your size of frame from either 25cm square, fitting five words, or a larger 30cm frame with room for 12 words. Next step, pick your background paper from the epic paper collection and decide on your words or names (or a mix of both) and Love J Frame will set about designing your tiled frame to cherish forever. Priced from $50, order direct at Love J Frame. Due to the custom nature of the product, allow three weeks for these clever folks to make your one-off design.